LAHORE: Pakistan LNG Terminal Limited (PLTL) is presently under alleged government pressure to waive $50 million penalty it has imposed on the contractor for delaying the completion of the country’s second LNG terminal at Port Qasim. 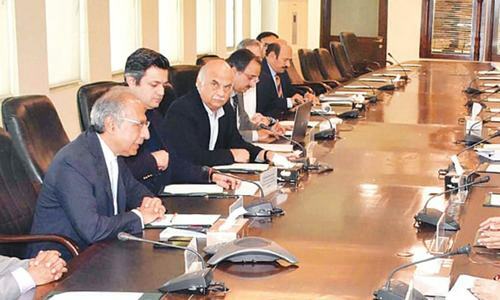 The PLTL—a public sector entity being run under control of the Ministry of Energy (Petroleum Division)—is supervising the LNG terminal project being client while the Pakistan GasPort Consortium Limited (PGPC) is executing this as contractor. The terminal, which was earlier scheduled to be completed by June, is now reportedly planned to be commissioned by November 28th after a delay of six months as per the contractors request sent to PLTL in August. “The PLTL has imposed the penalty on the contractor under the agreement. Therefore, the PGPC is obligated to pay $50m penalty to the PLTL because of delaying the project,” reveals an official source. “But the contractor looks to be in confrontation with the client on this issue as it is using various tactics to get this penalty waived,” the official told Dawn requesting anonymity. Under the agreement, the official said, it was not possible for the PLTL management to withdraw the penalty. That is why the contractor has allegedly approached some top slots of the government, which is pushing the PLTL’s Board of Directors (BoD) to withdraw the penalty in any case, the official claimed. On the other hand, the PGPC management states that it has not mounted pressure on PLTL through the government for withdrawal of the $50m penalty. “The company (PGPC) has not talked to anybody in the federal government to push PLTL to waive the fine. Actually the company has directly talked to PLTL alone for the one-sided decision the PLTL in imposing the penalty, a decision taken in violation of it’s contractual obligations,” a PGPC’s officer told Dawn on anonymity request. He said in its Sept 13 letter written to PLTL Managing Director Azam Soofi, the PGPC reiterated that it was the client who was in default of its obligation and not the contractor. “The PLTL has been unable to issue the customer credit support document that was PLTL’s obligation under clause-4.1 of the OSA. Similarly the PLTL has been unable to sign the customer direct agreement with Port Qasim Authority as was required under clause-4 (d) of the OSA. It was also unable to resolve the controversy over the exact coordinates of the SSGC tie-in-point,” the official said while quoting from the contents of the letter. He said the company was ready to pay penalty if it is exactly according to the contractual obligations and law. “However the PLTL cannot do this act under the contract, as it needs to read its own contractual obligations first,” the official added. The PGPC admits delays in the project, but it holds the government responsible in this regard. The contractor, he said, was of the view that a 400-metre state-owned pipeline was not completed, leading to delays in the commissioning of the three RLNG-fired 1,200MW power plants in Punjab (two of the federal government and one of the Punjab government) for which the second terminal is supposed to provide fuel. 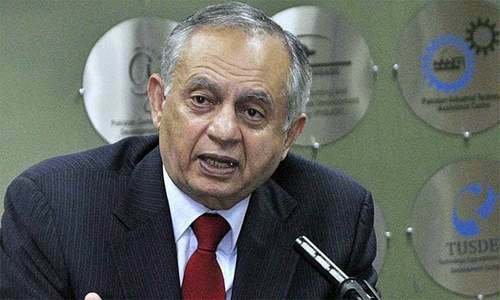 PLTL Managing Director Azam Soofi was reluctant to comment on the issue. “Look, I have been strictly advised by the ministry (Petroleum Division) to not speak to media on any issue. Therefore, I am sorry to say that I cannot talk you,” Mr Soofi said and disconnected the phone. It may be mentioned that due to delay in the 2nd LNG terminal’s commissioning, Punjab can face severe gas shortages during the upcoming winter. The project was initially scheduled to be completed on June 30 but later rescheduled to be commissioned in July or August, ahead of the winter. The project missed the deadline that was again extended to September, to be eventually missed for the third time. The government now claims the terminal will be commissioned by November.